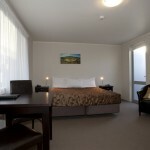 The Atrium On Ulster offers modern, spacious & quiet Hamilton accommodation, our rooms are modern, quiet and spacious. 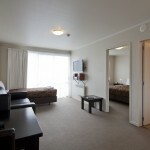 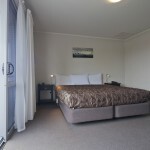 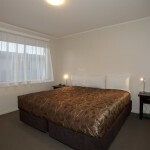 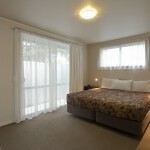 Our access unit includes super king bed in 1 bedroomwith either a superking or a queen & a single in the other bedroom. 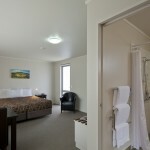 Unit can accommodate up to 5 people. 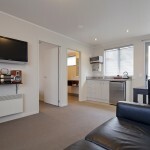 Rooms include LCD TV fitted in bedroom and lounge, also has a well equipped kitchenette area. 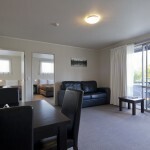 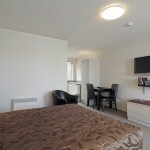 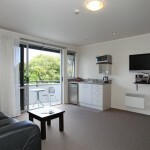 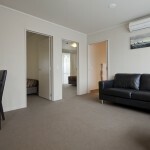 Our Hamilton accommodation unit also comprises your own courtyard or balcony.